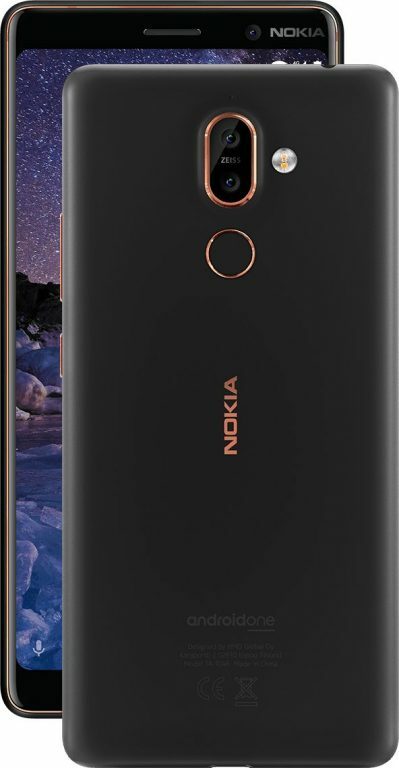 Nokia’s first 18:9 display device, an Android one device, and a device featuring both front and rear facing cameras having Carl Zeiss Optics, let’s see what the Nokia 7 Plus has to offer. The Nokia 7 Plus is a dual (hybrid) SIM Android device running on the Oreo flavor (version 8.0) of the operating system. The fact that the device is an Android One device means that the Android experience you’d be getting on the 7 Plus is the purest form available and Google will directly push updates to the device for two years. Its display is a 6-inch IPS LCD Touch display having the ‘in vogue’ 18:9 aspect ratio (it’s ‘taller’) and a 1080 by 2160p resolution. Build-wise, the device sports an all-metal (Aluminum) chassis with ‘dual-tone’ colors and for protection, a Corning Gorilla Glass 3 is covering the display. 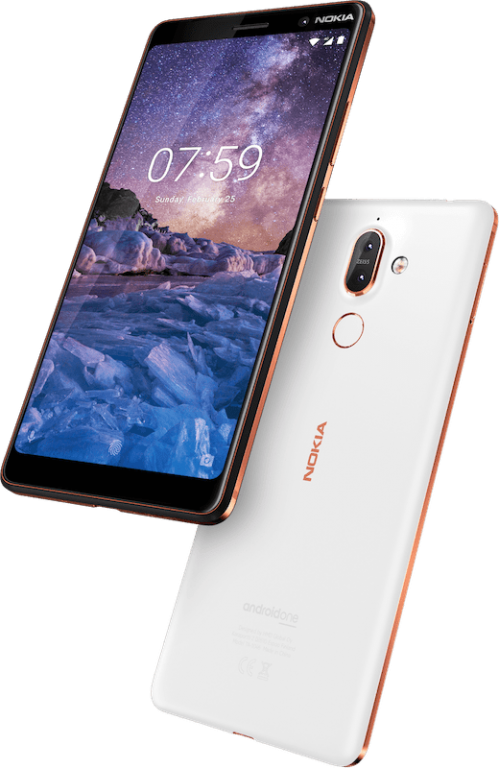 Under the hood sits the mid-high budget Qualcomm Snapdragon 660 which makes the Nokia 7 Plus an Octa-core device having two quad-core CPU clusters — one cluster clocked at 2.2 GHz and the other at 1.8. For handling graphics, the device, by virtue of its chipset, uses the Adreno 512 GPU and for fluid multitasking, the device features 4GB of RAM. Moving on, onboard memory aboard the device is a sizable 64GB but that can still but further stretched by means of a microSD card which uses the second SIM slot on the device when present. For selfies and snaps, the front-facing camera is massive (on paper, that is) 16MP lens having a relatively wide aperture width of f/2.0, has Carl Zeiss Optics, and is capable of shooting 1080p videos at 30 frames per second. The rear camera mechanism ain’t no slouch either as it features a dual-camera setup. One of the lenses (the primary lens) is a 12-megapixel lens with an f/1.75 aperture and the other, another 12 MP lens but this time with a much smaller aperture (f/2.6). For image stabilization, none of the lenses is optically image stabilized, but instead, electronic stabilization is present. EIS is better than no stabilization, right? Moving on the camera also has a dual-tone LED flashlight beside it and the full setup features Carl Zeiss Optics. Powering all of this ‘madness’ is a 3800 mAh non-removable Li-Ion battery which supports fast charging through the ‘modern’ USB C port available on this device. I’m a corper and i want to buy nokia 7 so how much b/cos i no get money. If the ads of the is real the mobile is great then. iam a villeger in kano, nigeria how can i buy it but i dont have an email? I like anything Nokia cos, their products are strong, durable and reliable. Just that this particular one should have come with at least a 5000mah battery capacity. I have make my order today , so when am i going to receive it? You ordered the device on Jumia, yes?